The whole industry suffers when an installation fails. The most valuable materials are worthless when installed incorrectly, employers lose existing and future business, installers lose income, and customers experience disruption and avoid future purchases. Recognizing this, INSTALL was formed by and for manufacturers, employers and instructors to combat installation failures. 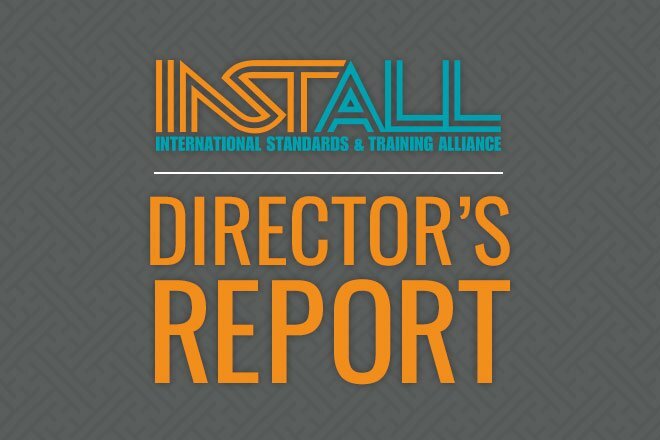 The founders of INSTALL successfully created a legitimate and standardized training curriculum for floorcovering professionals from coast to coast in the USA and Canada. The effect of collaboration is multidimensional– installers improve performance and employers and manufacturers enjoy peace of mind knowing that products are installed by trained professionals. The curriculum continues to evolve with the industry and members continually strive for improvement. These efforts have created INSTALL certifications and specifications, manufacturer certifications and the INSTALL Warranty Program. These initiatives are the fruits of the floorcovering industry collaborating for quality standards- resulting in hundreds of millions of dollars of reliable and professional floorcovering installations. I would like to recognize and thank every INSTALL manufacturer, employer, instructor and installer, who all share ownership in INSTALL, for continued support and contribution to the floorcovering industry. Together we sustain the most dependable and professional installation program in floorcovering.